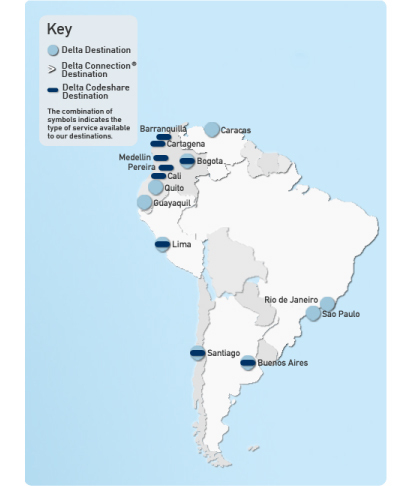 Delta is America's fastest growing international carrier with more than 60 new international routes added in the last year. 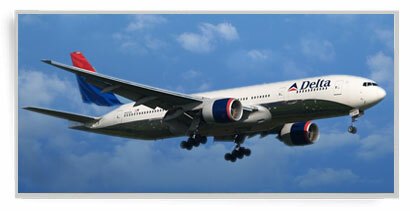 Delta offers flights to 458 destinations in 99 countries. Besides, the company is working hard to transform itself to be strong and financially viable, while providing customers with improved service and more choices. 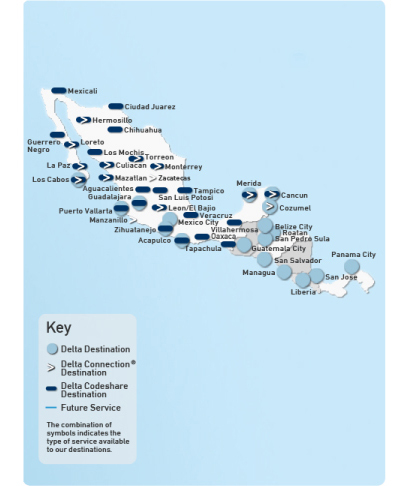 Moreover, Delta is implementing one of the world's most extensive global route expansions and serves more worldwide destinations than any other carrier, with Delta and the Delta Connection carriers providing service to more than 300 airports. 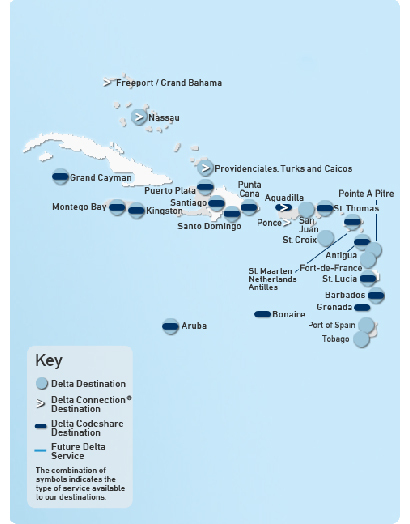 In 2006, nearly 50 new international routes were added while at the same time passenger unit revenues have been increased. In 2007, the company is continuing its aggressive international expansion with the addition of dozens more international routes, including a return to the heart of Asia in June with nonstop flights between Atlanta and Seoul–Incheon. In all, more than 100 international destinations from the United States are planned to be served this year. 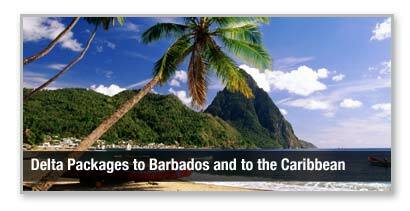 Sunspots Holidays has lots of great special deals with Delta, and we are dedicated to making travel memorable and enjoyable. Call 416.484.8144 and find out as to how we could be of service to you. 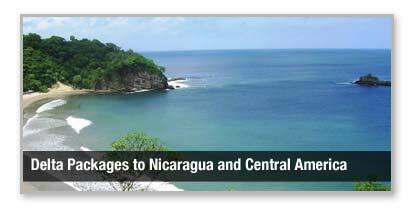 We offer to the following Delta destinations in Mexico and Central America. 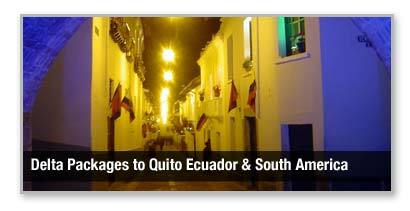 We offer to the following Delta destinations in South America.